MSD81.X and MSV81.X DME NOW FULLY SUPPORTED! FREE FOR ALL CUSTOMERS WHO HAVE BN012 AND AMS! Our developers just informed us that the BMW MSD81.X and MSV81.X are now 100% supported for ISN reading and adaptation! Now you will no longer need to connect a boot pin. ALL reading will be performed either by OBD or a simple bench connection. You WILL NOT need to open these DMEs. The procedure is simplified and and this will cut the time for adaptation in HALF! NO FILE DOWNLOAD, just connect to the internet and receive the new update. Payment must be done before 5 April 2019. Hardware orders will be prepared until the end of the promotion and we will send it in one package after the promotion is finished. In the new version of the AVDI for Renault/ Dacia Online you will be able to see our progress in terms of diagnostics. 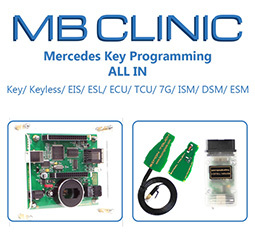 The new version features a complete overhaul of all mechanical key procedures to ensure a 99% success rate for programming of all Mechanical key Mitsubishi vehicles. This means that almost all Mitsubishi vehicles with mechanical keys are now supported up to 2016 and sometimes later cars too. - Not anymore. Our new ZN059/ ZN060/ ZN061 adapter allows you to connect to the back of cluster and enter service mode by connection to the cluster without removing the EEPROM. cluster, supply power, connect the "needle" and connect to the ZN030 ABPROG to read the cluster on a bench and program keys. - ZN059 Takes care of VDO. -ZN060 Takes care of Micronas NEW Style connector. Before there was a waiting time but now there is no waiting. Expect the new update soon!